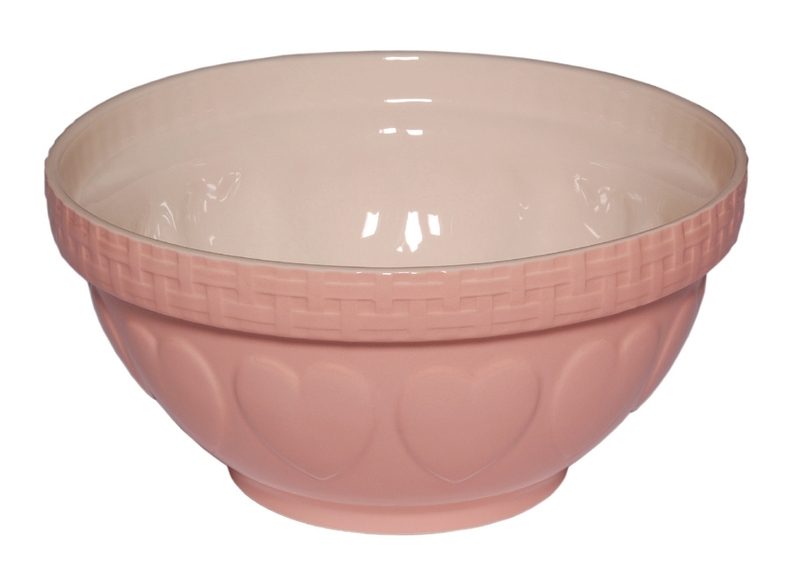 Win A Mason Cash Romantic Heart Mixing Bowl! Win A Mason Cash Mixing Bowl! How would you like to win a Mason Cash Romantic Heart Mixing Bowl from Pacific Merchants this Valentine’s Day? Winning is EASY! Just head on over to our Mason Cash Facebook Fan Page, become a fan, and then write on our wall! Tell us who your “sweetie” is (mom, boyfriend, brother, dog, etc.) and what you would use this Mason Cash Mixing Bowl to make for them. Want to get creative in your entry and post a video or picture telling us about your sweetie and what you want to make for them? Feel free! On February 7th, we’ll pick a winner, and they’ll receive our Mason Cash Romantic Heart Mixing Bowl for free, just in time for Valentine’s Day! Sorry, employees of Pacific Merchants or their family members are not eligible to win (we’ve got to keep things fair), and there is only one entry per person for this contest. This prize cannot be redeemed for cash or substituted for any other items. Sorry, but retailers of Pacific Merchants or Mason Cash products are not eligible. 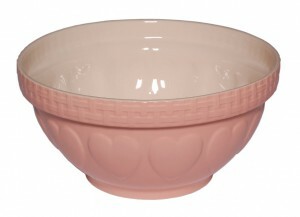 Posted in Mason Cash | Comments Off on Win A Mason Cash Romantic Heart Mixing Bowl! Considered by most tea lovers (both experts and novices alike) to be the finest shaped teapot in the world, the Brown Betty teapot has been long loved for its useful, well-planned shape and strong, highly durable construction. In 1695, the Stoke-on-Trent region of Britain was found to have superior red-clay dirt, perfect for making stoneware in all types of shapes. It was this area that would give us the now-iconic Brown Betty Teapot, as well as Spode dinnerware, all considered “stoke pottery.” Additionally, Queen Victoria herself was a fan of the Brown Betty design, and thus helped increase its popularity throughout England. 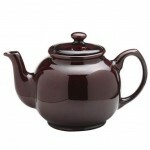 Although Stoke teapots were originally shaped more like a coffee pot, stoke potters eventually began to change the shape. 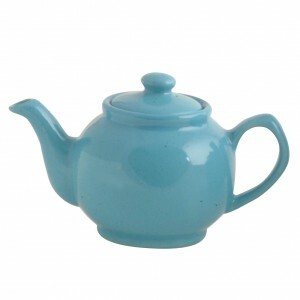 Ultimately, the modification of the design of stoke teapots resulted in what we now know as the Brown Betty teapot. The bulbous design of the main chamber is said to be perfect for allowing tea leaves (or tea bags, if you will) the best opportunity to swirl about the water, resulting in a more full tea flavor with less bitterness- what many consider the perfect cup of tea. Pacific Merchants is thrilled to be the official United States importer of Price & Kensington, a line of Stoke pottery with over 100 years of history. Price & Kensington’s Brown Betty style teapots are fun and festive, as well as durably constructed. Pacific Merchants offers multiple colors of Brown Betty-inspired teapots, as well as teapot sets that include our color-coordinated tea mugs and tea caddies. January is National Hot Tea Month, and while there’s plenty to be said about tea on its own, we thought that now would be the perfect time to explore tea’s favorite sidekick: scones. According to many reputable sources, scones most likely originated from Scotland. Made from the best white flour, scones began in a large round shape, as opposed to the triangular shape that many are formed in today. When it became time to serve the scone, it was sliced up in to quarters to be served to tea guests. There are three potential origins for the word “scone”: the Dutch, schoonbrot, and the German, sconbrot, both meaning “fine bread,” or the Gaelic, sgon, which means “large mouthful”. Pacific Merchants’ own Mason Cash line has their own brand of scone mix! Available exclusively on our website, this scone mix is easy to use and delicious, and the perfect thing to make in our Mason Cash mixing bowls. We have three varieties available: original scone mix, currant scone mix, and cranberry orange scone mix, all of which are very popular. Celebrate National Hot Tea Month With Pacific Merchants! January is the Tea Association of the United States’ National Hot Tea Month. Lucky for us we just happen to be experiencing quite a cold snap, which may just cause more Americans to stop and take notice of this national celebration. Obviously, we’re big fans of tea around here at Pacific Merchants (take a look at our Price & Kensington line of tea pots, tea mugs, and tea caddies if you don’t believe us), but we stumbled upon some pretty encouraging health facts that make us want to drink even more. Both the green and black varieties of tea are believed to play an important role in fostering good health in those who regularly consume it. Not only does tea promote good cardiovascular health, but has also been found in many studies to have a positive relation to the instance of cancer in many cases. Just when you thought it couldn’t get any better, tea has also been found to positively impact the function of the immune system as well as incidence of obesity. In a Dutch study, researchers found that participants who drank between one and two cups of Black Tea per day were at a 46% lower risk for aortic artheriosclerosis which is often a major indicator of cardiovascular disease. Additionally, subjects who drank four or more cups of Black Tea per day were at an average of 69% less risk. A study conducted by the University of Arizona found that participants who drank iced black tea with citrus were 42% less likely to develop skin cancer. Studies have found that individuals who drink hot black tea are at a lower risk of developing Squamous Cell Carcinoma (SCC). Recently, researchers at Brigham and Women’s Hospital, along with Harvard University, discovered that L-theanine, which is found in tea, is a key component in helping the body fight bacteria, fungi, infections, and viruses. The study supports the idea that drinking black tea helps the human body fight microbial infection. If your New Year’s Resolution involves losing weight and gaining overall health, you’re in luck. Research suggests that green tea extract helps increase the expenditure of energy and oxidation of fat in healthy men over a 24 hour period. Furthermore, three months of consumption of green tea extract by moderately obese individuals showed a 4.6% decrease in body weight as well as an average loss of 4.48 inches in the circumference of the waist. Enjoy Hot Tea This Month! Whether you drink tea for its flavor or more for its potential health benefits, we hope you’ll join us in enjoying a cup of hot tea this month. Black, Green, Oolong, or White, you can’t go wrong when hot tea is in your cup! Posted in Price & Kensington | Comments Off on Celebrate National Hot Tea Month With Pacific Merchants! We’re excited to announce that our Price & Kensington tea line is going to be featured in a sale on OneKingsLane.com. 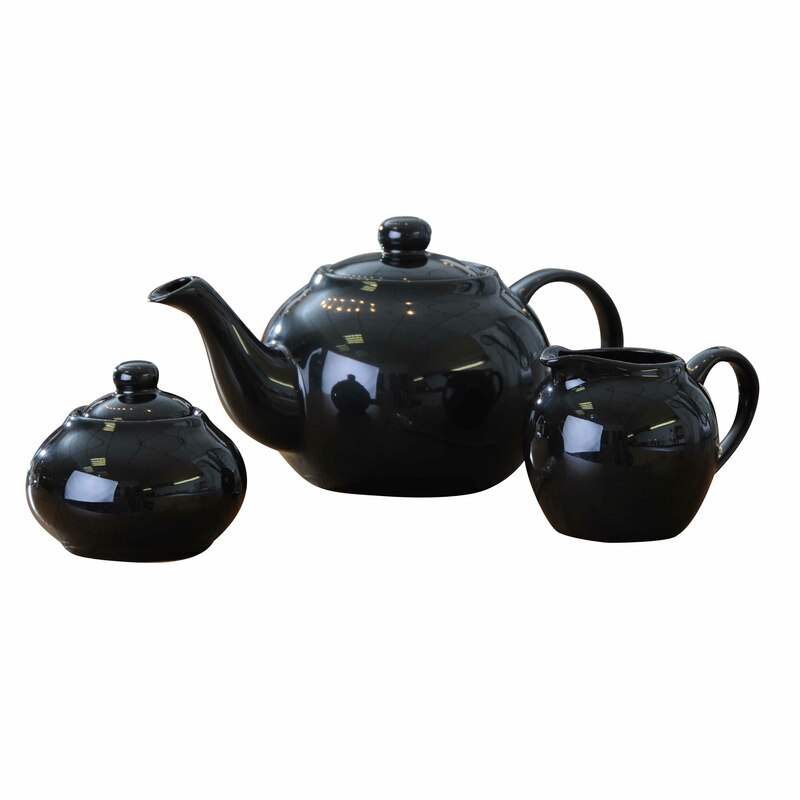 Beginning this Sunday, January 9th, One Kings Lane members will be able to shop an exclusive selection of Pacific Merchants’ Price & Kensington teapot gift sets at competitive prices. Pacific Merchants has selected some of our favorites from our Price & Kensington collection for this One Kings Lane event, including our tea-for-ones. Tea-for-Ones are part tea cup, part tea pot, just the right size for a morning “spot of tea.” Whimsically decorated, our tea-for-ones are the perfect “little something” gift for teachers, secretaries and coworkers and include the high standard of quality that Price & Kensington has been known for for over 100 years. Also available in this exclusive One Kings Lane sale are our three piece, five piece and nine piece Price & Kensington tea sets. 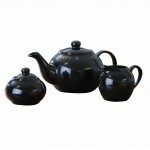 Our three piece tea set includes a six cup tea pot as well as a creamer and sugar bowl. Three piece Price & Kensington sets are available in black and white. Our five piece tea sets include a two cup tea pot, two tea caddies and two tea mugs while the nine piece tea set includes a six cup tea pot, four tea caddies and four tea mugs. Both the five piece and nine piece Price & Kensington tea sets are available in orange, yellow, red, blue, green and cobalt. The Price & Kensington One Kings Lane sale starts Sunday, January 9th at 8 a.m. pacific (11 a.m. eastern) and continues until January 11th at 8 a.m. pacific. In order to take advantage of this exclusive sale, shoppers must register to become members of One Kings Lane- to complete the free registration click here. We hope you’ll join us and shop this wonderful Price & Kensington event! If you’ve ever called our offices and been greeted by a happy French accent, you’ve ‘met’ Gigi, on of our Account Executives. Originally from Paris and Dijon, France (respectively), Gigi has been with us since early 2010. 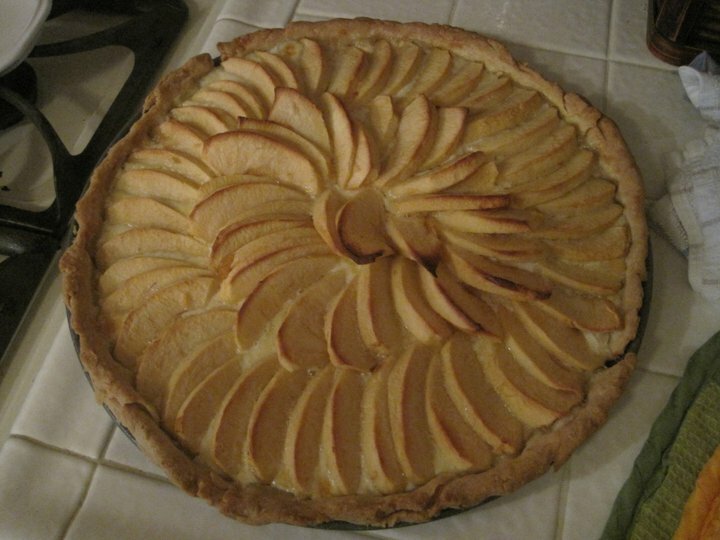 Since January is National Apple Month, Gigi has supplied us with her recipe for “Tarte Aux Pommes de ma Maman,” or “Mum’s Apple Tart.” “It’s super easy to make and it’s so delicious,” she said. “I grew up with it; my mum would bake it for me on Sundays or if I would get a good grade on my mathematics test.” We hope you enjoy this tarte as much as Gigi and her family do! 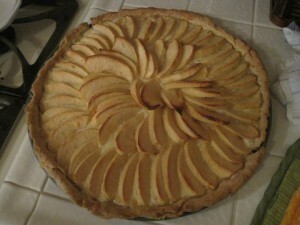 Bake at 350, between 35 and 40 minutes (depending on your oven) until the tarte is golden brown, as seen in the above picture. Before the British began taking ‘tea’ in the afternoon, they really had only two meals daily- breakfast and a very heavy dinner. While we in America often refer to an afternoon teatime as “high tea,” that is actually an incorrect usage of the term. High tea, also known as “meat tea,” is actually dinner. An afternoon tea is widely known as “low tea,” due to the fact that it is often served in a sitting room, around low tables (tables that most people would call coffee tables). Tea can be served in three different sizes- the lightest meal being “cream tea,” which includes tea and scones, “light tea,” which offers just a little more with tea, scones, and sweets, and “full tea,” which is essentially an entire meal and includes tea, savories (little sandwiches or appetizers), scones, and sweets. A few historical events contributed largely to the development of tea culture within England. First, in 1600, Queen Elizabeth the First granted permission to the John Company to develop trade routes with India, the Far East, and Asia. Although tea trade didn’t become very large until 1670, it was the development of these trade routes that eventually helped build up England’s consumption of tea. Secondly, in 1662 King Charles the II married Infanta Catherine de Braganza. While most modern people may not know this, Catherine came with the largest dowry on record, giving King Charles (and England) posession of Tangiers, Morocco, and Bombay, as well as use of all Portuguese ports worldwide. Use of the Portuguese ports opened up England’s trading abilities unlike ever before. It also didn’t hurt that both Charles and Catherine were tea lovers; bringing this “foreign” tradition to England had a direct effect on the upper classes, as everyone strived to be as much like royalty as possible. When Queen Anne chose tea as her breakfast accompaniment (rather than ale), the public took notice, again causing interest in tea to skyrocket. The creation of an afternoon tea time, however, would be credited to one of Queen Anne’s ladies-in-waiting, Anna Maria Stanhope. Stanhope, the Duchess of Bedford, began taking tea in the afternoon (around four o’clock) as she had experienced a “sinking feeling” in her stomach. Initially, she had her servants sneak a pot of tea along with small amounts of food to her, but over time, she began to invite friends to partake in this very “European” approach to tea. Over time, this afternoon tea time would become a well-loved custom, one that still stands to this date with many Brits. Pacific Merchants’ Price & Kensington line of Tea Pots, tea (and coffee) mugs and cups, and other tea accessories are the perfect addition to any tea time– morning or afternoon. Stop by our e-store and check it out for yourself!